What it FEELS like for someone who is action-oriented to work with someone who prefers a moderate pace. What it FEELS like for two people on the opposite sides of the Facts/Logic and People/Emotion spectrum to communicate. Merrick Rosenberg and Daniel Silvert introduce DISC through a fable that's quick, fun, and easy-to-understand. You'll discover why you "click" with some people and "clank" with others, and what really drives your decisions and actions. You'll learn exactly how to identify others' behavioral styles and choose the best ways to interact with them. You'll walk through creating a personal action plan for improvement -- and then systematically making the most of your strengths, working around your weaknesses, and supercharging your personal performance! If you're already familiar with DISC, this book will help you use it more effectively than ever before. If you're new to DISC, it will change your life -- just as it has for thousands before you! The 4-Dimensional Manager will help you learn to manage different people in the best ways. 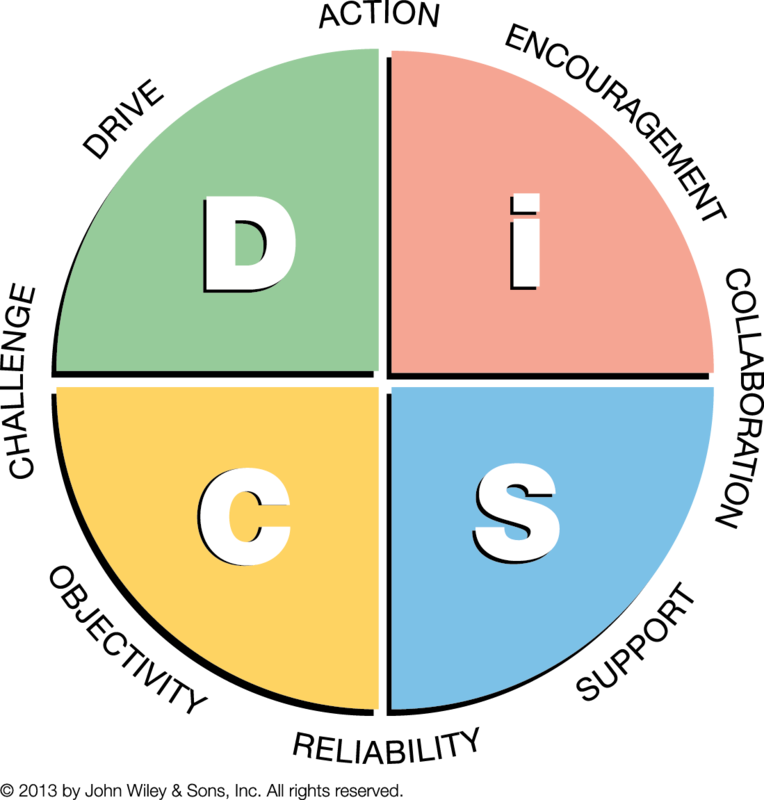 Through a simple yet powerful self-discovery tool called DiSC, you can become a 4-dimensional manager, able to manage anyone, anywhere, anytime. Discover your usual managerial style: Dominance, Influence, Supportiveness, or Conscientiousness. Read the work styles of the people you manage, Improve communication and reduce destructive conflict, Find out how the style of your organization affects you and those you manage. Whether or not you have the formal title of manager, if you provide work direction to others, this book will answer pressing questions you have every day, such as: When I delegate, how much information should I give, and when and how should I follow up? How can I increase this person's motivation? What kind of compliment or reward would this person most value? How can I give feedback so it will be understood, accepted, and effective? The 4-Dimensional Manager provides fascinating insights into individual work styles, practical suggestions, checklists and planners, and a research-based DiSC discovery tool. To be an effective leader you need to know your strengths—but that’s only part of the story. You also need a broad perspective on all the behaviors needed to be an effective leader. This book provides both. Using the third-generation DiSC® online personality assessment—one of the most scientifically validated tools available--The 8 Dimensions of Leadership helps you identify your primary leadership dimension. Whether you are a Pioneering, Energizing, Affirming, Inclusive, Humble, Deliberate, Resolute, or Commanding leader, the authors help you understand the psychological drivers, motivations, and “blind spots” characteristic of your style.